The gospel voices: WOW. The musicians: WOW. And the hats: WOW. A powerful force of strength through spirituality. 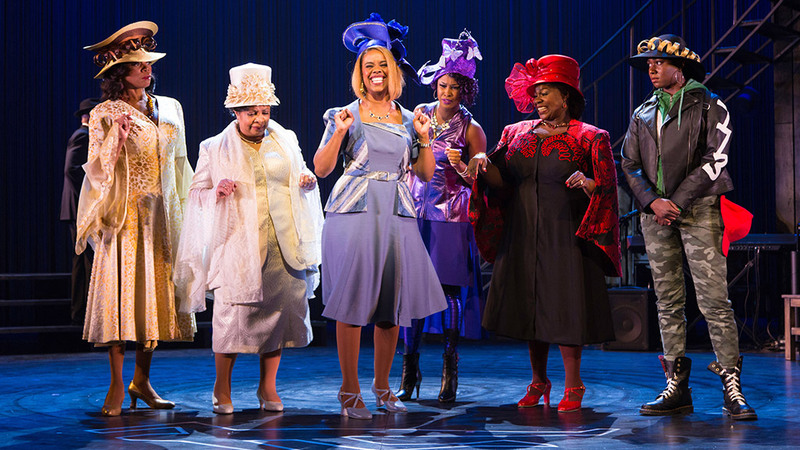 “Hats off to Crowns,” raves the New York Times. 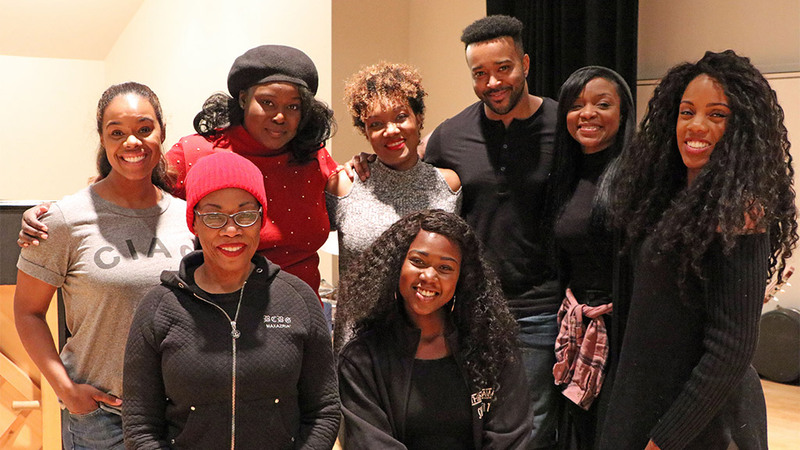 Original creator and director Regina Taylor is back at McCarter with an all-new production of this “warm, wise, and wonderful” (Star Ledger) musical. 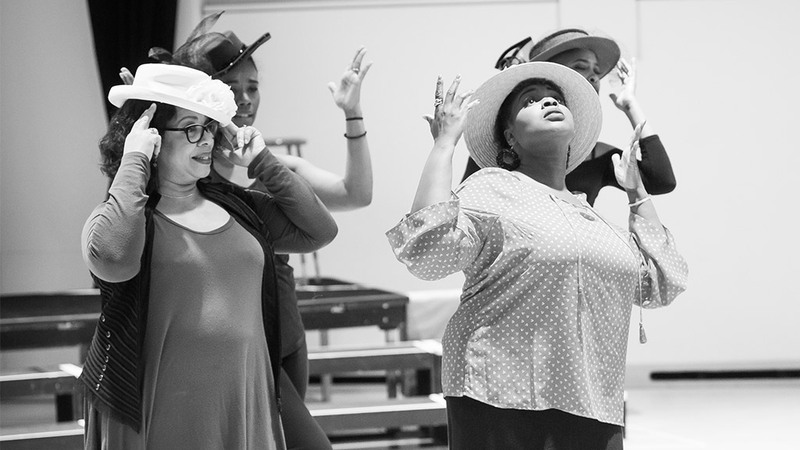 Crowns is the story of a Chicago teenager who, sent to live with her grandmother in South Carolina, finds connection among a community of resilient African American women in their church hats. 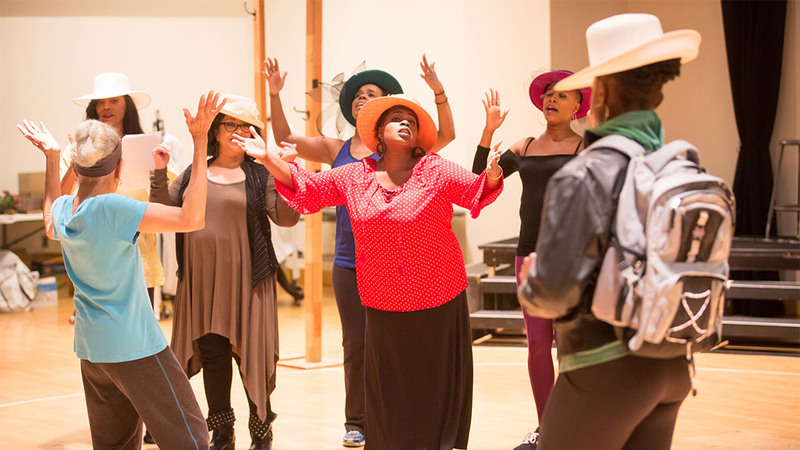 Weaving together faith, fashion and family, Crowns is an inspirational, joyous musical celebration of love and redemption that will make your spirit sing! 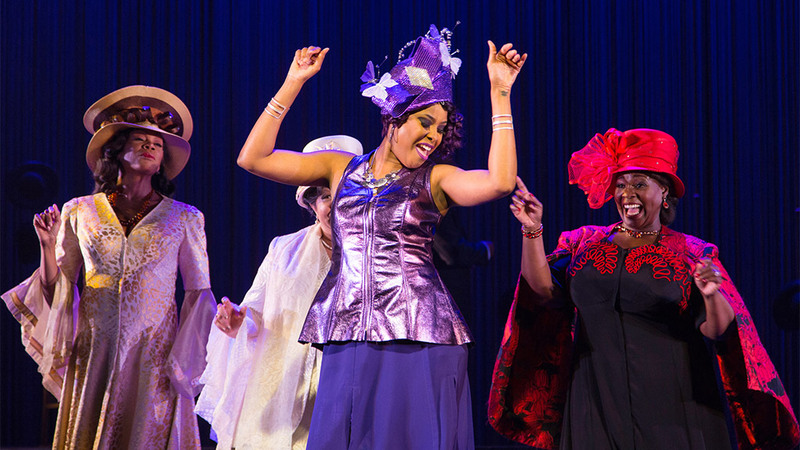 Join in the Fun with a Girls Night Out at 6pm in the Lockwood Lobby before the 7:30pm performance of Crowns! An in-depth post-show interview with Crowns author and director Regina Taylor, McCarter Artistic Director Emily Mann, and special guest moderator Dr. Yolanda Pierce, Dean of the Howard University School of Divinity. Shari is a highly accomplished vocalist, has a career that spans many diverse music genres, but especially loves gospel. Accomplishments: Black Entertainment Television’s (BET) premier broadcast, Sunday Best; BET’s Celebration of Gospel, host Steve Harvey; 2010 Stellar Award, “Best Traditional CD of the Year”; featured artist, Bobby Jones International GospelArtists Retreat. Contributing author, Tears to Triumph; Performances with luminaries: Kirk Franklin, Martha Munizzi, Bebe Winans, Mary Mary, Michael McDonald, Yolanda Adams, Marvin Sapp, Fred Hammond, Ben Tankard, Shirley Caesar, Patti LaBelle, and Stephanie Mills. 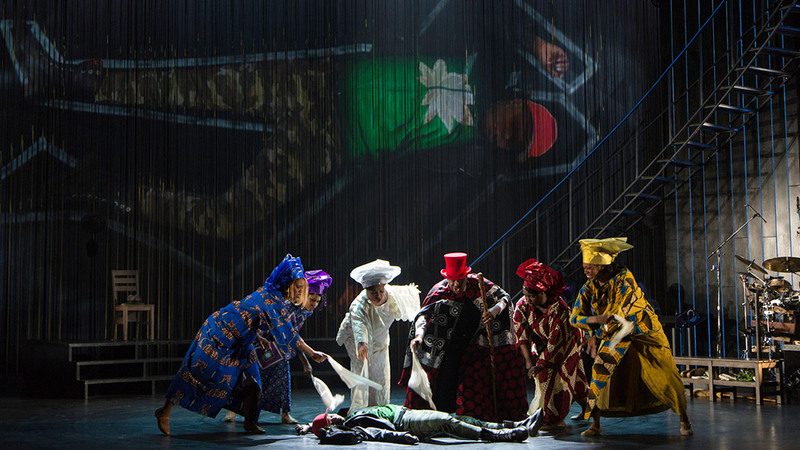 International performances: Russia’s Maxim Gorki Theater, U.S. Russian Embassy, South Africa, and Brazil. Television: ABC, FOX, WCIU and WGN networks. 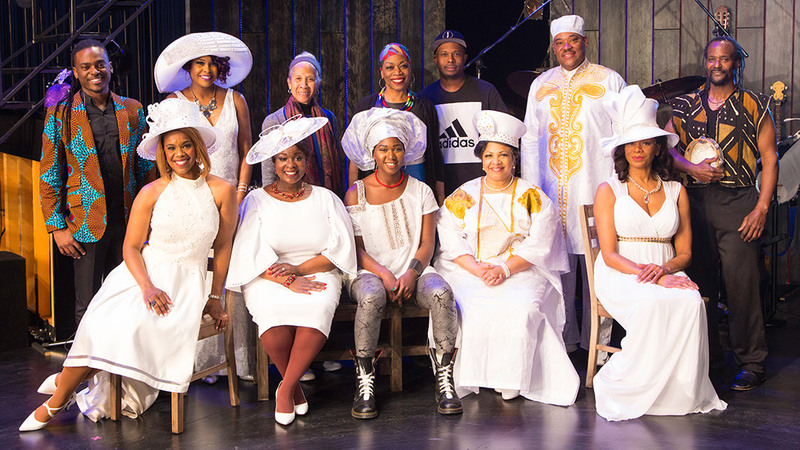 Stage: 1000th Performance Lee Breuer and Bob Telson’s, The Gospel At Colonus, Carnegie Hall and its world tour; Regina Taylor’s Crowns, Goodman Theatre, Chicago. 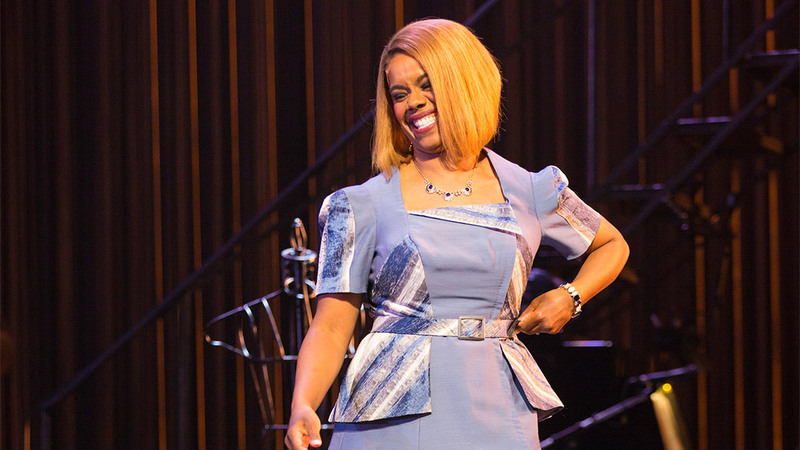 Honor: 2016 Jeff Award, portraying Aretha Franklin in Jackie Taylor’s Dynamite Divas, The Black Ensemble Theater, Chicago. 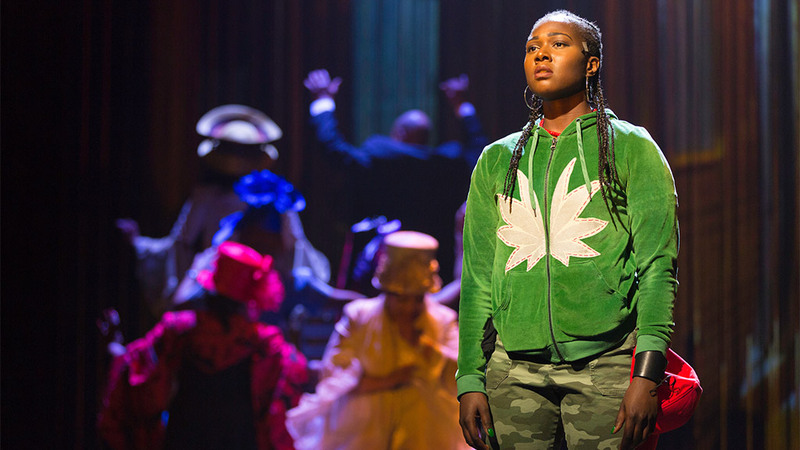 Gabrielle is honored to be making her McCarter debut! She is a NYC native from Queens and recent BFA Musical Theatre graduate from Rider University. 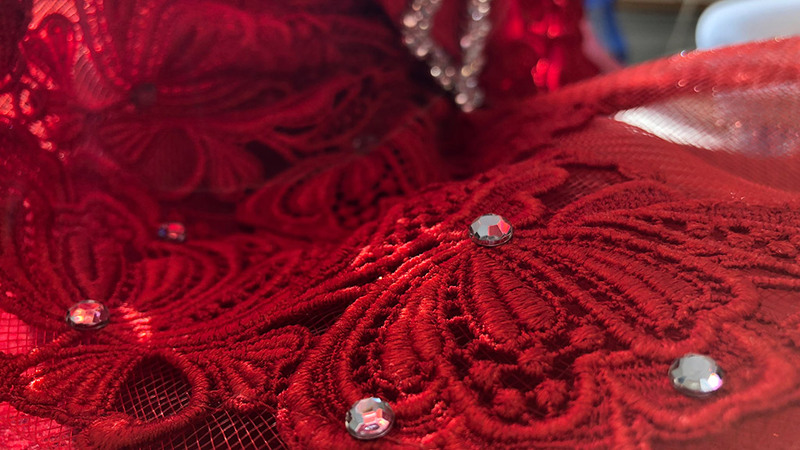 Repertory Theatre credits include Thingamajig Theatre Company’s AIDA, Hairspray, Big River and Sister Act at the Pagosa Springs Center for the Arts. Regional Theatre credits include BEOBE Production Company’s All Shook Up at the Laguna Beach Playhouse. 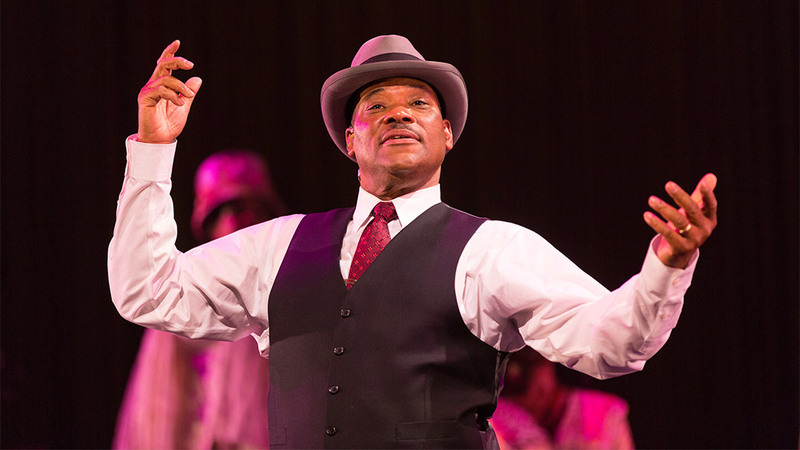 Lawrence most recently appeared on Broadway in the Tony®, Grammy, and Emmy Award- winning Broadway revival production of The Color Purple. Other appearances include Bells Are Ringing, It Ain’t Nothin But the Blues, The Civil War, Once Upon a Mattress, and Dreamgirls. 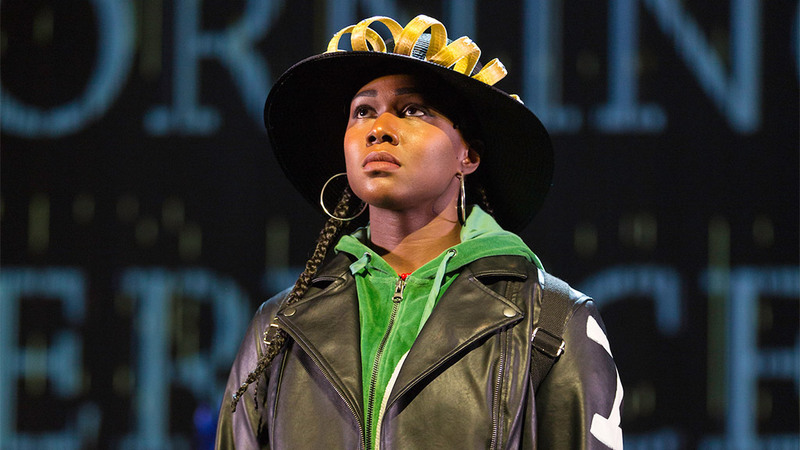 Off-Broadway includes Crowns at Second Stage (Audelco Award); Saturn Returns and Romance in Hard Times at The Public Theater. Regional audiences have seen him in productions of The Christians, Damn Yankees, Big River, Jesus Christ Superstar, and Avenue X. On the small screen Lawrence has appeared in episodes of Elementary, Law & Order: SVU, Homeland, The Good Wife, The Big C, Deadline, Law & Order: CI, and the made for TV movie Mary and Rhoda. He can be seen in the upcoming film Mike, Mike Tan. Danielle is so excited be part of this production, with this amazing team! She is here “on loan” from her residence at New World Stages in Avenue Q, as Gary Coleman! She was also recently at Paper Mill as “Mrs. Corry” in Mary Poppins. 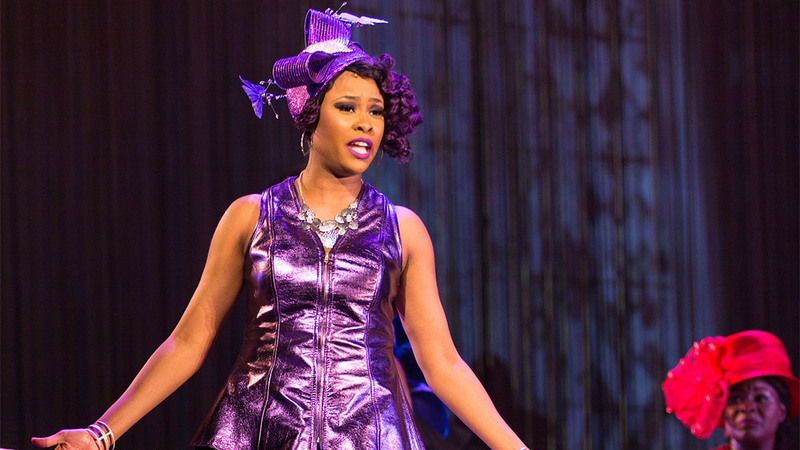 Broadway/off Broadway: Avenue Q, 1st & National/European Tour: Avenue Q, Hair, Cinderella. Europe: Little Shop of Horrors, Jesus Christ Superstar. 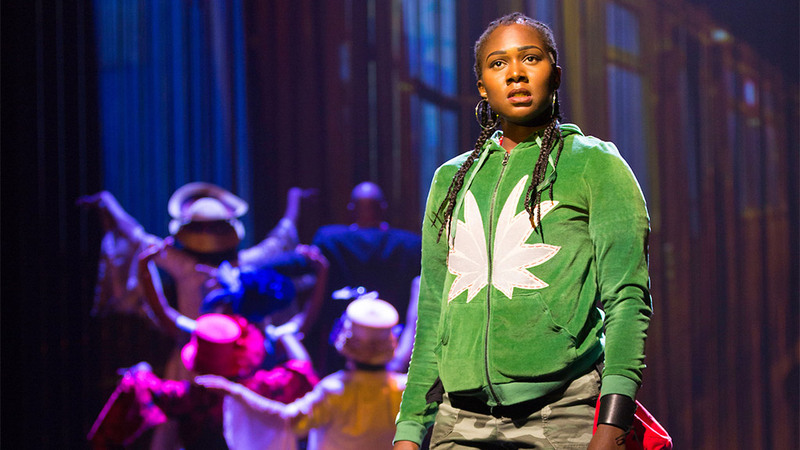 Regional: Caroline, or Change; Suessical; Crowns; Big River. Film/TV: Crooklyn, Pop Foul, (Bend Film Festival Best Actress) Rescue Me, Smash, NYC 22, The Michael J. Fox Show, The Affair, Deadbeat, Benders, Jessica Jones. Broadway Inspirational Voices soprano choir member and Outreach Coordinator! Thanks Telsey & Co. and TKO Agency. 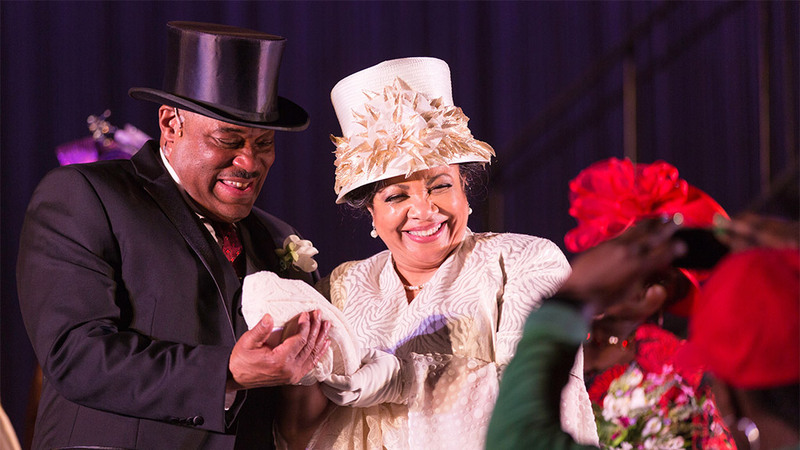 Regina is elated to return to Crowns at McCarter/Long Wharf (Original production: 4 Helen Hayes Awards including Best Director). Upcoming: Bread (Edgerton Award) at Water Tower Theater, directed by Leah C. Gardiner. 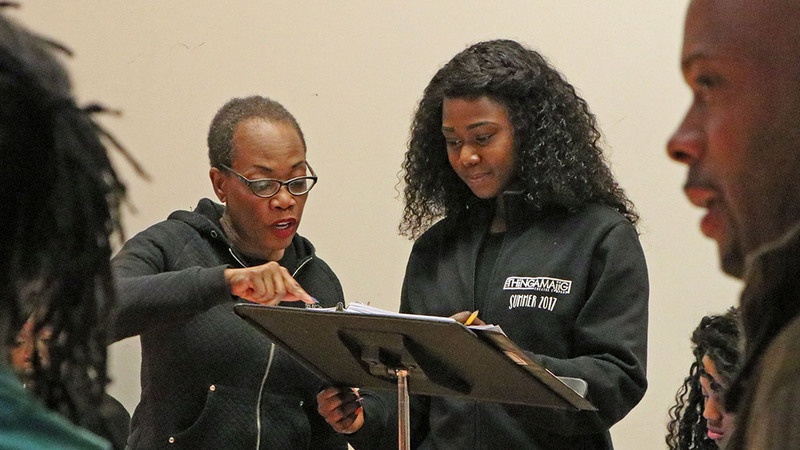 Ms. Taylor was honored as the 2017 Denzel Washington Endowed Chair in theater at Fordham University at Lincoln Center where she directed her play Magnolia. 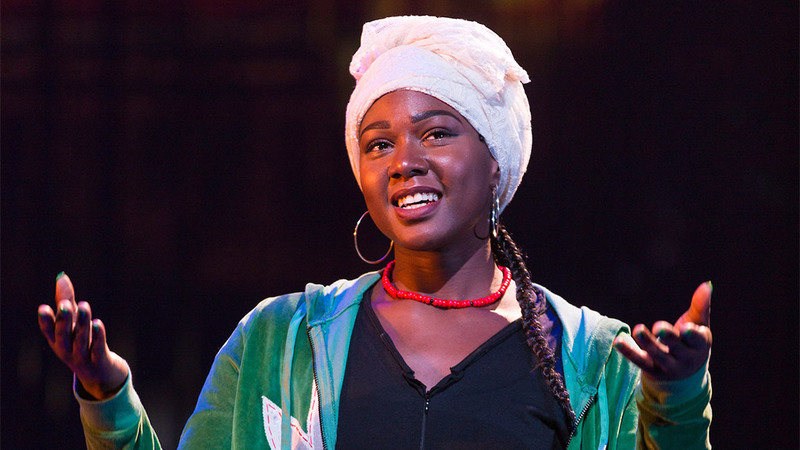 She contributed to the Princeton and Slavery Plays at McCarter that featured work by Emily Mann, Kwame Kwei-Armah, Jackie Sibblies Drury, Nathan Alan Davis, Dipika Guha, and Branden Jacobs- Jenkins. Writing credits include: Trinity River Plays (Edgerton Award); Drowning Crow (Broadway); stop.reset. (Signature Theater Residency 5). 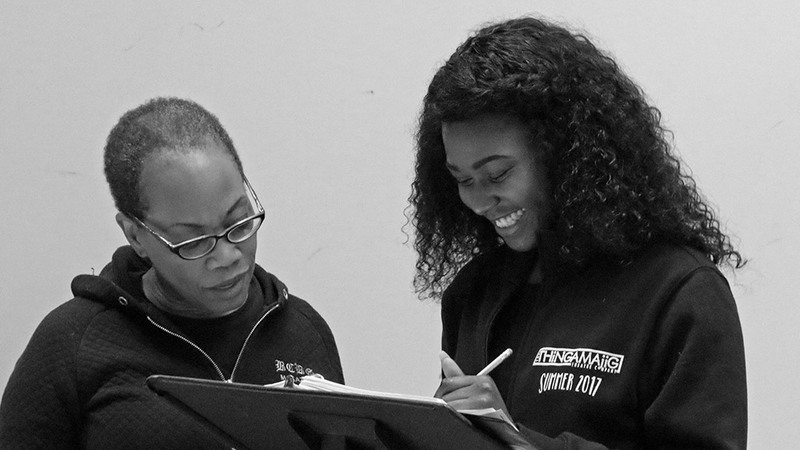 Ms. Taylor is an Artistic Associate at Goodman Theatre and one of its most produced playwrights. 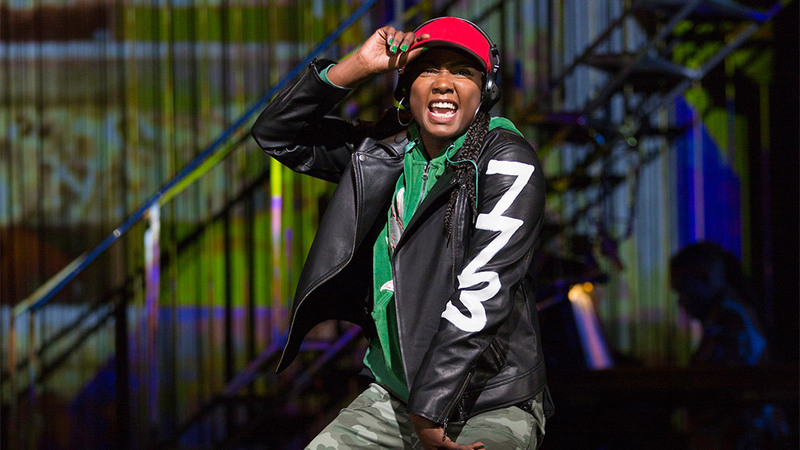 Acting credits include: first African American Juliet on Broadway in Romeo and Juliet (Belasco Theater), first African American lead in Masterpiece Theater’s Cora Unashamed. Ms. Taylor received a Golden Globe Award for Best Lead Performance for the TV Series I’ll Fly Away. Movies include: Clockers, Courage Under Fire, and Lean on Me. Many thanks to Emily Mann! 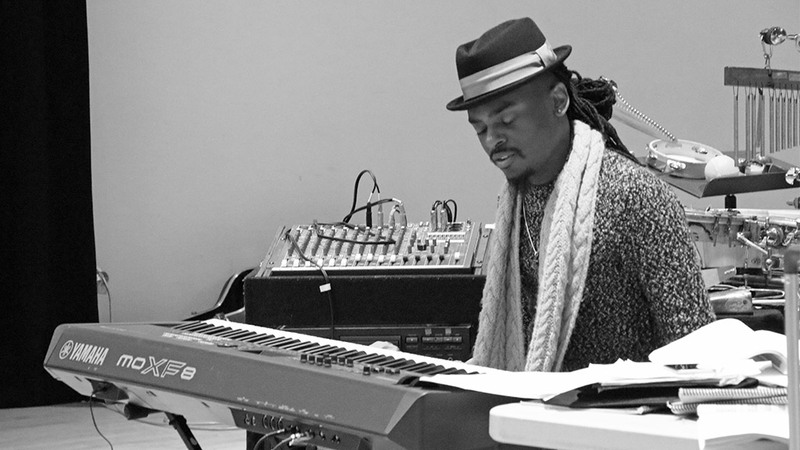 Diedre is an innovative composer, musician, producer and curator. From the 1970’s through early 90’s, she pioneered the use of the cello as a jazz music instrument. She is a Pulitzer Prize Finalist for the chamber opera Running Man and a two-time Obie winner for Running Man and for Eli’s Comin’. 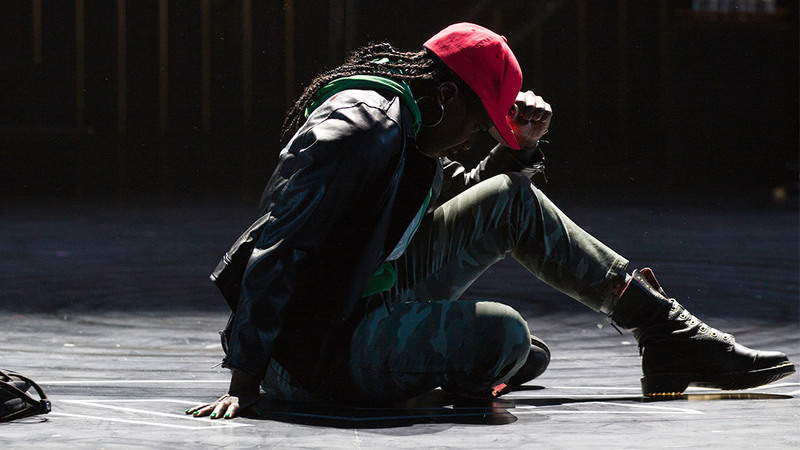 She’s collaborated extensively with Music Theatre Group and Diane Paulus. Works include Running Man, Fangs, Best of Both Worlds and You Don’t Miss the Water. 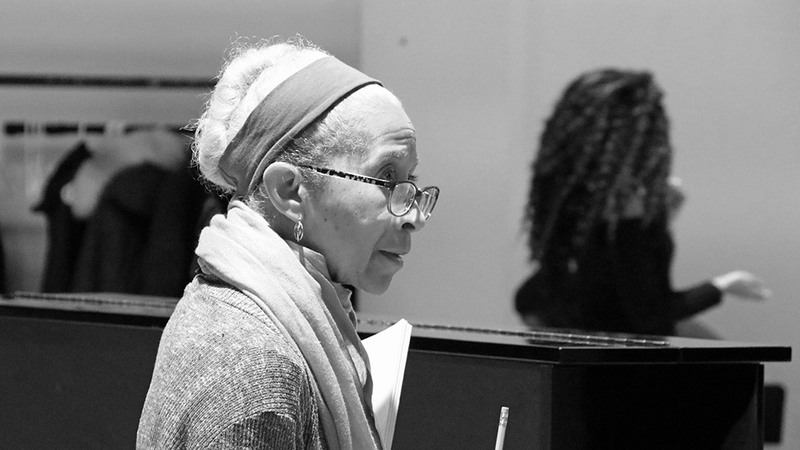 She wrote the arrangements for the Tony® Award winning The Gershwin’s Porgy and Bess. 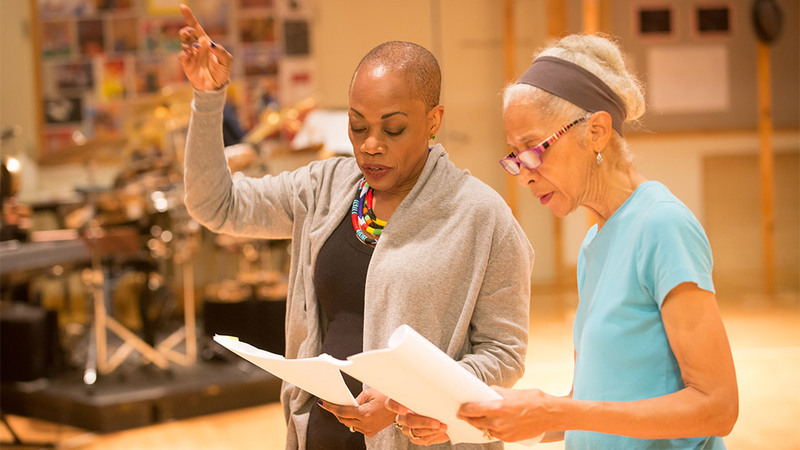 Additionally Ms. Murray has composed for pieces written and/or produced by Lynn Nottage, Carl Hancock Rux, Kathryn Walker, Cornelius Eady, The Roots, Blondell Cummings, Risa Jaroslaw and Marcus Gardley, among others. Drama Desk Award-winning Brooklyn based theatre artist and songwriter. Recently originated the role of Boxman on Broadway’s In Transit. Considered a pioneering figure in American beatbox culture he founded the American Beatbox Championships and executive produced the documentary American Beatboxer which was placed in the Rock & Roll Hall of Fame and Harvard University Hip Hop archives. 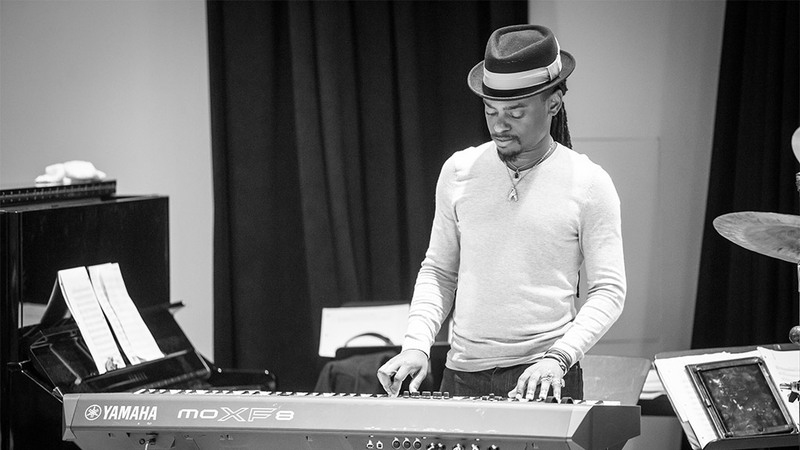 He twice headlined Carnegie Hall with DCINY and has collaborated on stage as a beatboxer with many legendary artists including KRS One and Nile Rogers, and has opened for artists such as MC Lyte, Snoop Dogg, and Immortal Technique. His critically acclaimed autobiographical show The Unwritten Law, directed by Rebecca Arends, is being presented in Dixon Place Theatre’s 2018 production season. National tour: Vocalosity. Select NY credits: Burn This, Golden Boy, Antigone. 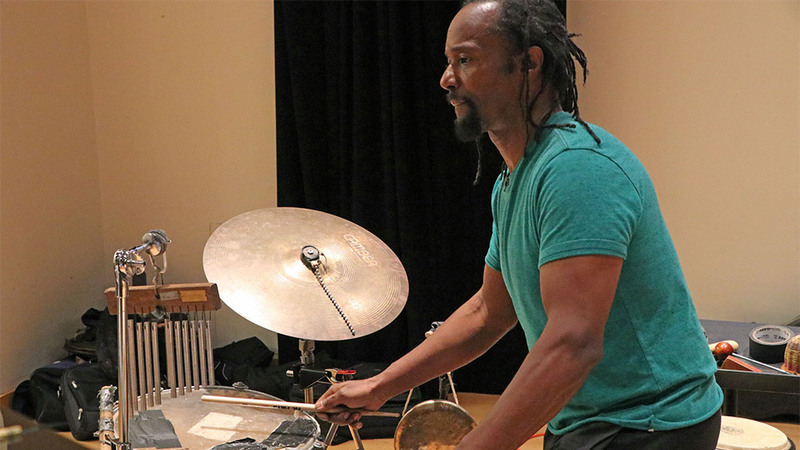 Robert has spent the last 24 years designing sound and composing; he has been honored with an OBIE for Sustained Excellence in Sound Design and a Tony for Fela! He owes much of his success to James Houghton’s inspirational mentorship during their 4 years together at the Eugene O’Neill Playwrights Conference. 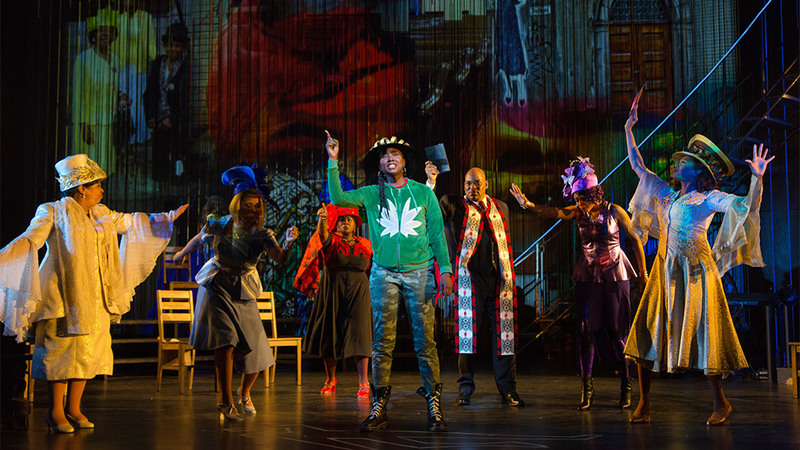 Among his 300+ artistic credits are designs for Ms. Taylor’s stop. 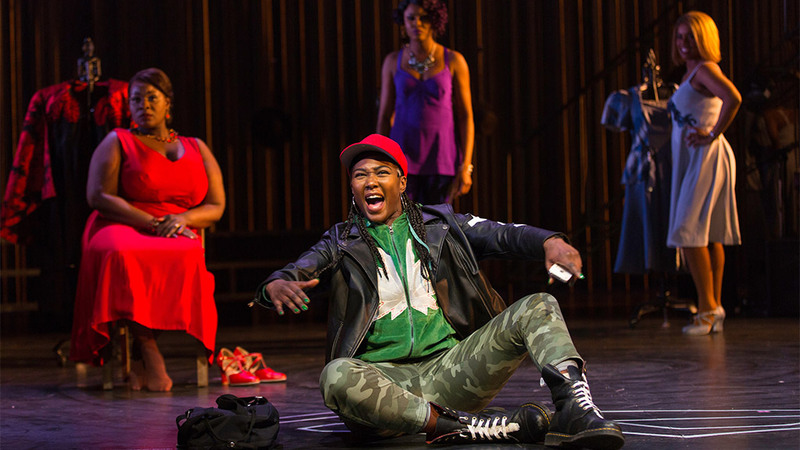 reset, and Urban Zulu Mambo and, here at the McCarter, Emily Mann’s production of Sarah Treem’s The How and the Why. He also composes musicals, creates museum installations, runs Nine Hostage Arts in Philadelphia, teaches at Princeton and loves his family more than anything else. Broadway: Sunset Boulevard, Bandstand, Indecent, The Visit, The Real Thing, Lady Day at Emerson’s Bar & Grill, Motown, Peter and the Starcatcher, The Gershwins’ Porgy and Bess, All About Me, and Next to Normal. Recent off-Broadway: The Low Road (Public), The Amateurs (Vineyard), Jerry Springer the Opera (New Group), Fire and Air (Classic Stage), Mankind (Playwrights Horizons), and Yours Unfaithfully (Mint, Drama Desk Nomination). Films include Angelica and The Night Before. TV includes Six by Sondheim, Scream Queens, Gotham, Mozart in the Jungle, and Inside Amy Schumer. Hair designer: Madame Butterfly. Broadway; Hair & makeup designer, Sunset Boulevard, Bandstand, Indecent, Violet and The Real Thing. Off-Broadway; Little Miss Sunshine, Here Lies Love, Buried Child, Pericles, Booty Candy, My Name is Asher Lev, Good Person of Szechwan and Romeo and Juliet. Marie Antoinette, Steppenwolf Theatre; An Octoroon and Hamlet, The Wilma; Glimmerglass Opera 2016-17; Central City Opera 2012-15 seasons; Bard SummerScape 2014-17. Education: B.F.A., SUNY FREDONIA. Thank you to Zevie for all your love and support. 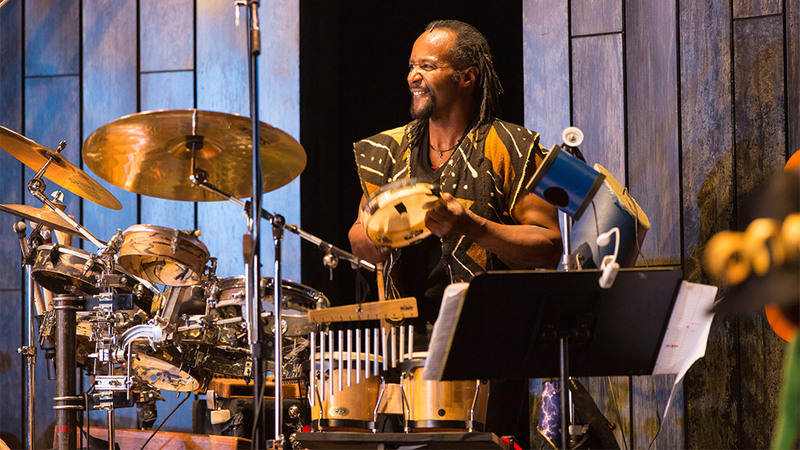 David is a Drumfolk master, choreographer, composer, independent scholar and writer. His work spans categories of jazz, pre-Spirituals, dance theater, Hip-Hop, Broadway, TV, recording, and documentary film. Mr. Pleasant has spent over 30+ years introducing Gullah-Geechee (early African American cultural forms) to national and international audiences. 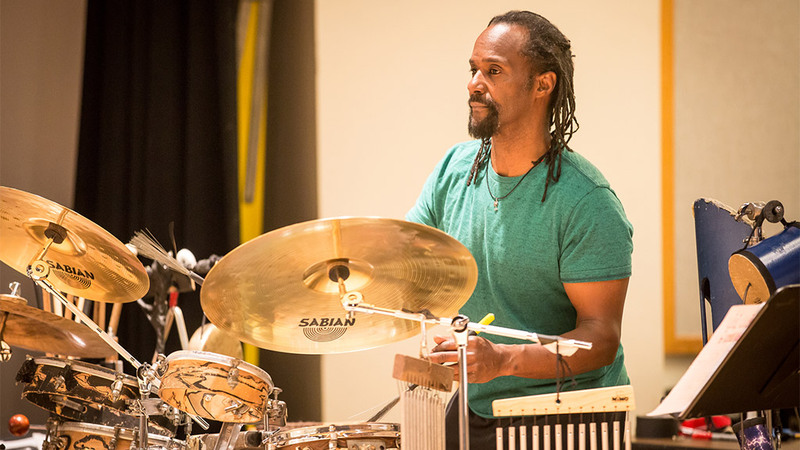 He is an award winning performing artist who has collaborated across various genre lines with artists including: Audra Mc Donald, Wynton Marsalis, STEP AFRIKA, Cecil Taylor, Erykah Badu, The ABC News Division, Urban Bush Women, Arrested Development, Charles Gayle and others. As an arts-education pioneer, he guest lectures at a variety of institutions including: Smithsonian Institute, Fulbright Senior Specialist seminars, Schomburg Center NYPL, NYU Encuentro, Ministry of Education, Rome and more. 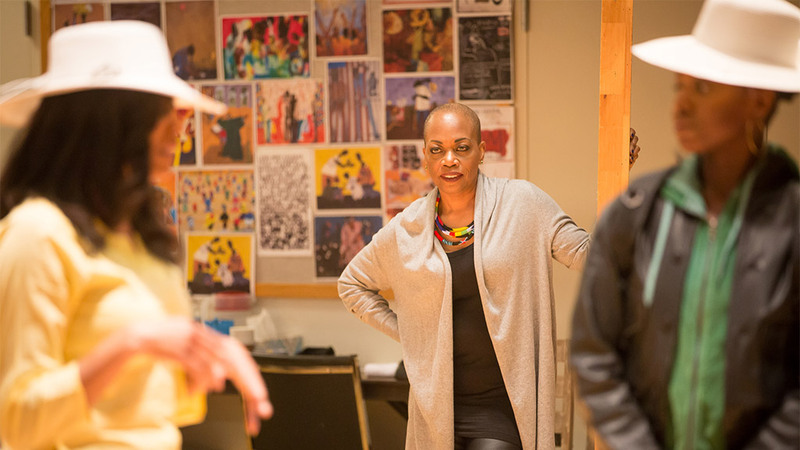 Cheryl is in her 27th season, 23rd as Resident Production Stage Manager, with over 80 productions for McCarter Theatre and 32 productions with Artistic Director Emily Mann. Cheryl has enjoyed 13 collaborations with Maestro Gian Carlo Menotti and the Spoleto Festival USA and Italy, and has stage managed 40 operas and musicals, three tours, and three PBS telecasts for New York City Opera at Lincoln Center. Cheryl has six Broadway shows to her credit, 15 years as an Executive Board Member of the Stage Managers’ Association, is a contributor to the recently published Sound and Music for the Theatre; The Art & Technique of Design, currently conducts master classes for the AADA and Rutgers University, and named a SUNY Notable Alumni in the Arts. MFA: Yale School of Drama. Alison is in her 22nd season at McCarter Theatre. 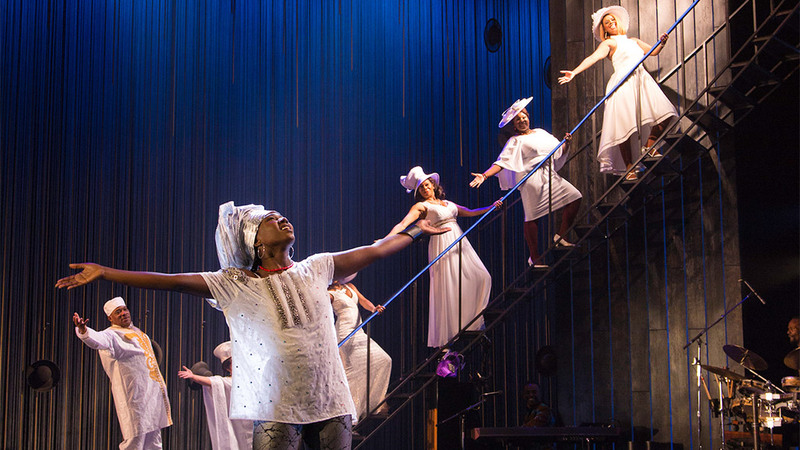 Highlights include Crowns (2002); Ken Ludwig’s Baskerville; The Understudy, directed by Adam Immerwahr; The White Snake, directed by Mary Zimmerman; Danai Gurira’s The Convert, directed by Emily Mann; A Midsummer Night’s Dream, directed by Tina Landau; Christopher Durang’s Miss Witherspoon; Sorrows and Rejoicings, directed by Athol Fugard; and Stephen Wadsworth’s adaptations of The Figaro Plays. 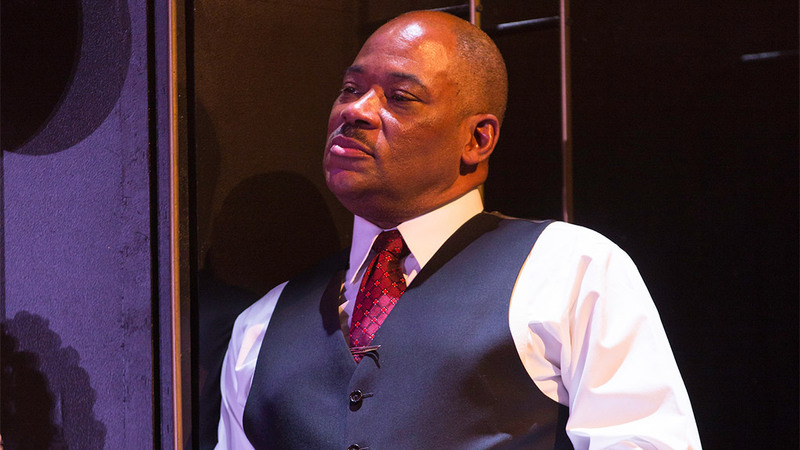 Other credits include Edward Albee’s Me, Myself & I at Playwrights Horizons; Tarell Alvin McCraney’s The Brother/Sister Plays at the Public Theater, Second Stage, Old Globe, Goodman Theatre, Philadelphia Theatre Company, Santa Cruz Shakespeare, Paper Mill, Kennedy Center, Long Wharf, Center Theatre Group, Berkeley Rep, Bard Summerscape, Pittsburgh Public, Williamstown, and 19 productions with The Shakespeare Theatre of New Jersey. 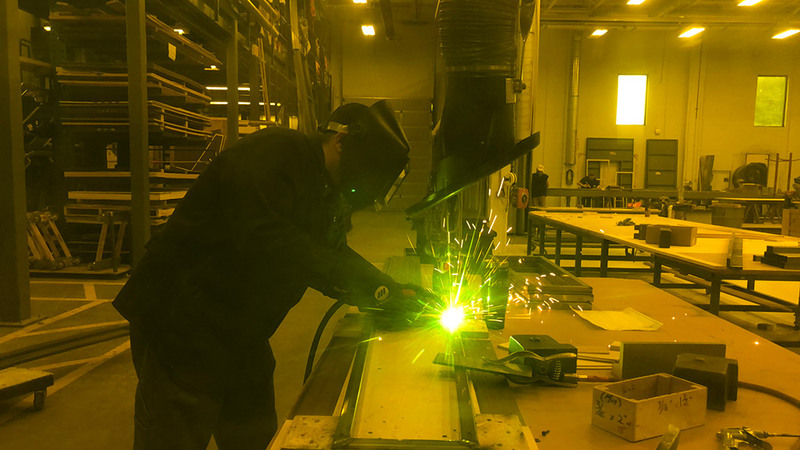 David has worked at McCarter since 1982. 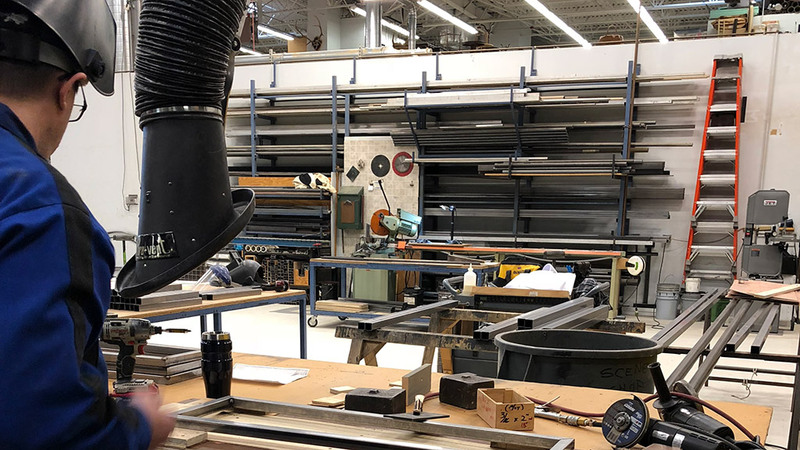 As head of the Production Department he directs the Scenic, Prop, Costume, and Stage Operations personnel in their creation of physical elements and provision of backstage support for the Theater Series and McCarter’s annual production of A Christmas Carol. 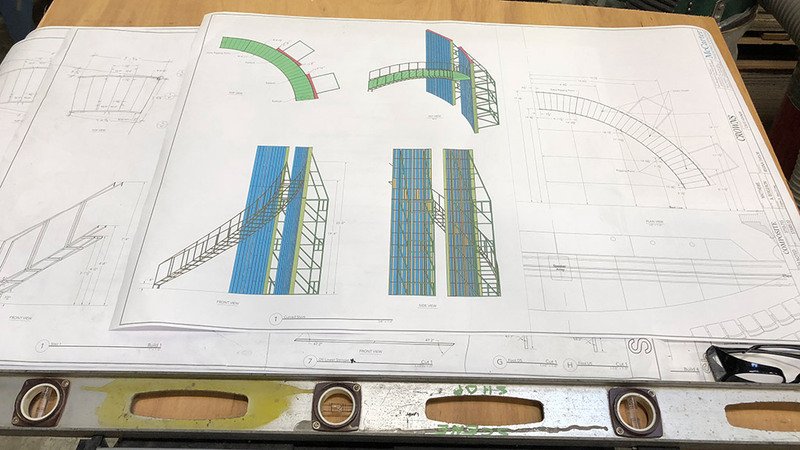 In addition, the 30 person production staff sees to the needs of all guest artists and companies presented at the theater each season. During David’s tenure, the department has more than 150 theater productions and thousands of presented performances to its credit. Prior to beginning his McCarter career as Technical Director, David held posts at Center Stage in Baltimore and Opera Theatre of St. Louis. He received his BA from Washington University and MFA from the Yale School of Drama. Debbie joined McCarter in 2016. 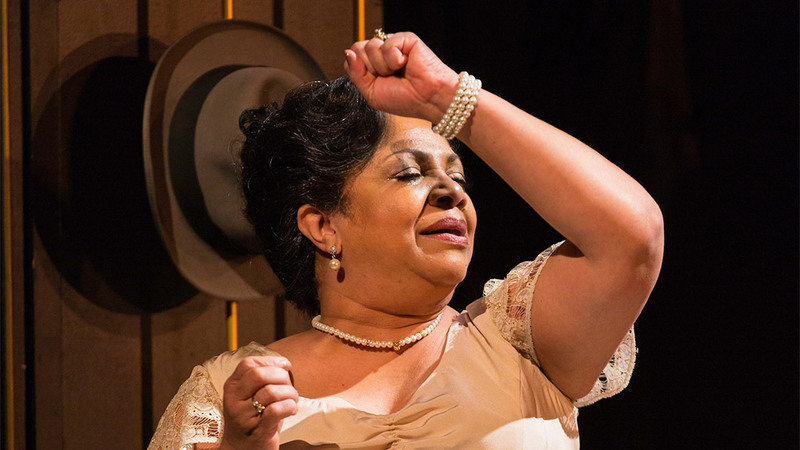 Her experience spans Broadway, off-Broadway, West End, regional, and non-profit theater. 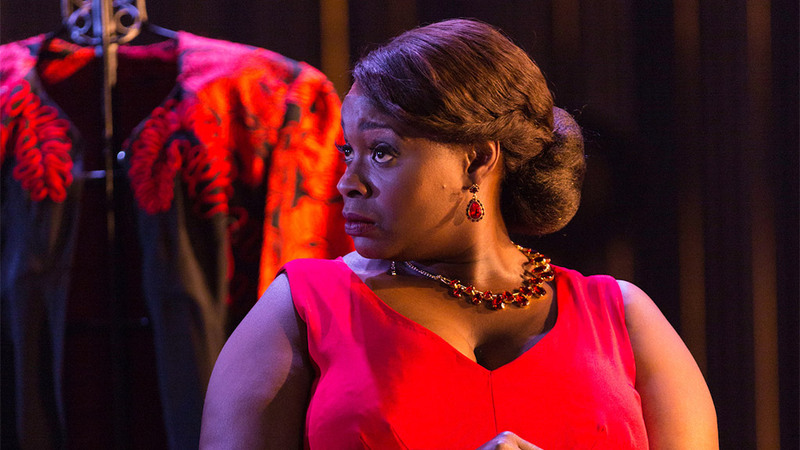 Broadway: Mothers & Sons, Grace, Annie, War Horse, Hair, Merchant of Venice, Speed the Plow. Off-Broadway and London highlights:Ingmar Bergman’s Through a Glass Darkly starring Carey Mulligan, Passion Play, Merrily We Roll Along. 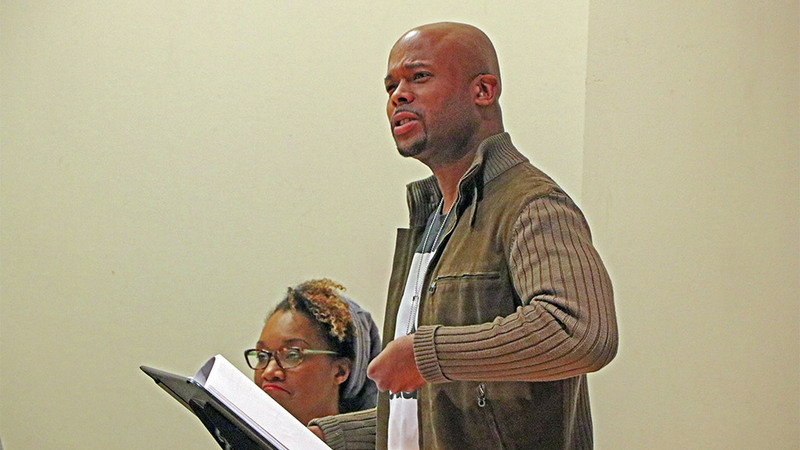 Chicago: Founder of Roadworks Productions, with residencies at Steppenwolf & Victory Gardens. Highlights: John Barth’s The End of the Road, Lanford Wilson’s Serenading Louie, Kenneth Lonergan’s This is Our Youth, Chuck Mee’s Orestes, and Eric Bogosian’s subUrbia. Ms. Bisno is an Advisory Member of Playwrights Realm in NYC and on the board of FASPE (Fellowships at Auschwitz for the Studyof Professional Ethics). She lives with her husband David Goldman and Portuguese Water Dog, Stella. the leading national organization providing crisis intervention and suicide prevention services to lesbian, gay, bisexual, transgender and questioning (LGBTQ) young people ages 13-24. A Philadelphia native, Wolpert earned a Bachelor’s degree in History from the University of Pennsylvania. 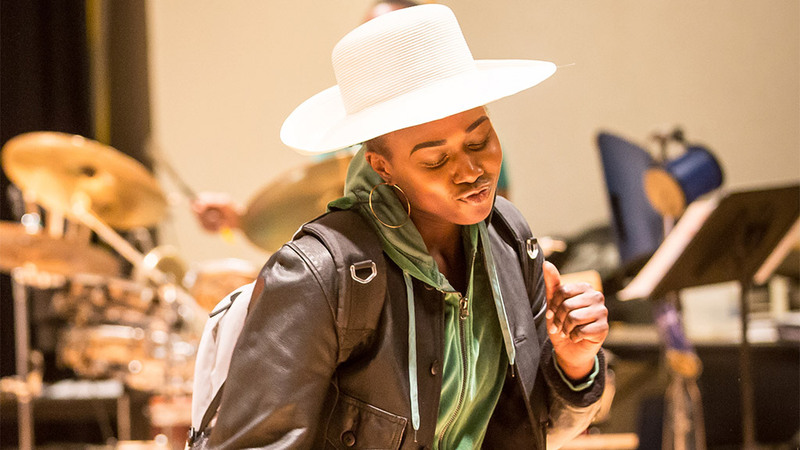 "I am so grateful to God for the gift of music entrusted to me and I am thankful to McCarter Theater and the extraordinary talent of Regina Taylor and the cast of Crowns for this wonderful opportunity! For me, it's a crowning moment!" "I am so excited to be a part of Crowns I just can't contain my joy. 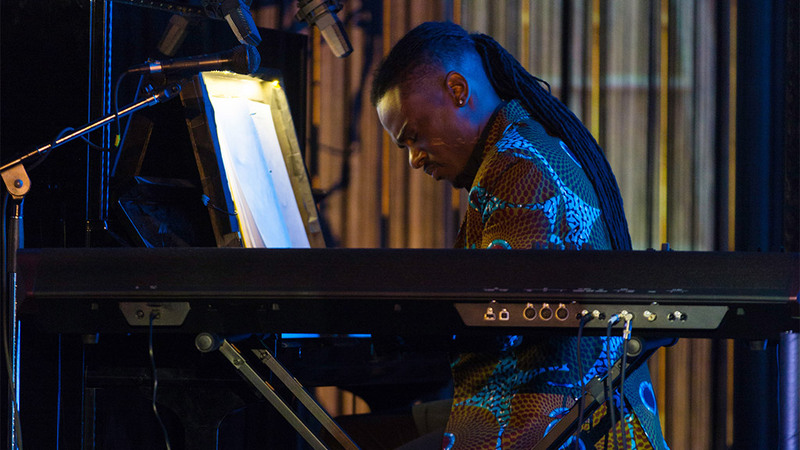 God opens doors of opportunity and I thank HIM for favor and blessings and a chance to share my gift through song." "Eyes haven’t seen, ears haven’t heard, all that God has planned for me." Hear from Jaret Landon (Music Director/Original Composition) of Crowns. 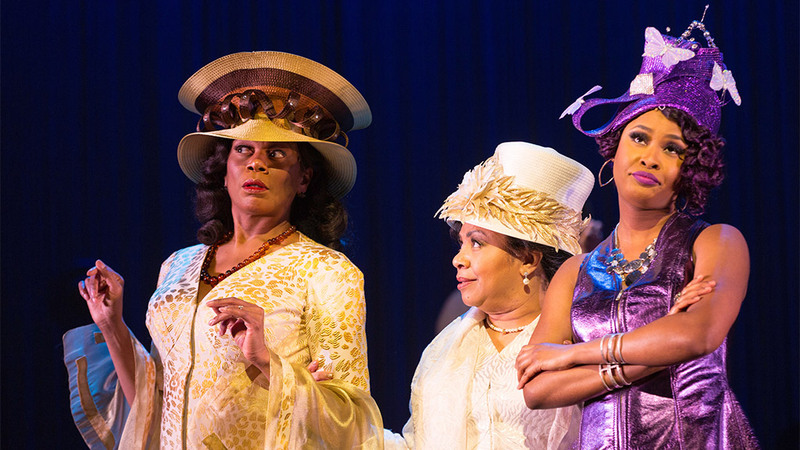 Gabrielle Beckford (center) and the company of Crowns. Photo by T. Charles Erickson. 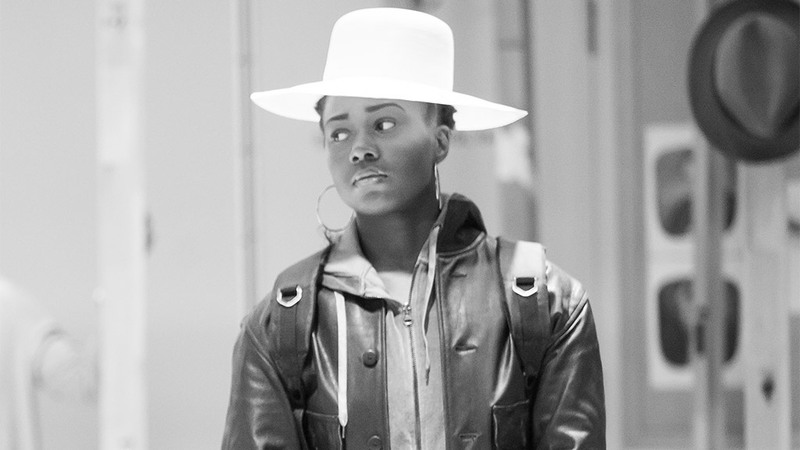 Gabrielle Beckford in Crowns. Photo by T. Charles Erickson. The company of Crowns. Photo by T. Charles Erickson. Stephanie Pope, Shari Addison, Latice Crawford, Danielle K. Thomas. Photo by T. Charles Erickson. Latice Crawford and David Pleasant. Photo by T. Charles Erickson. Drumfolk Riddim Specialst David Pleasant. Photo by T. Charles Erickson. Shari Addison in Crowns. Photo by T. Charles Erickson. Lawrence Clayton in Crowns. Photo by T. Charles Erickson. Music Director Jaret Landon. Photo by T. Charles Erickson. 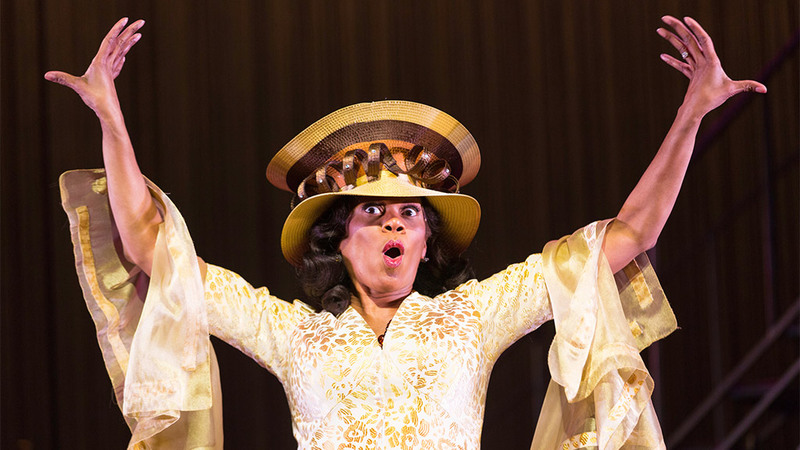 Rebecca E. Covington in Crowns. Photo by T. Charles Erickson. Lawrence Clayton in Crowns. Photo by T. Charlies Erickson. Stephanie Pope, Danielle K. Thomas, Rebecca E. Covington, Latice Crawford. Photo by T. Charles Erickson. 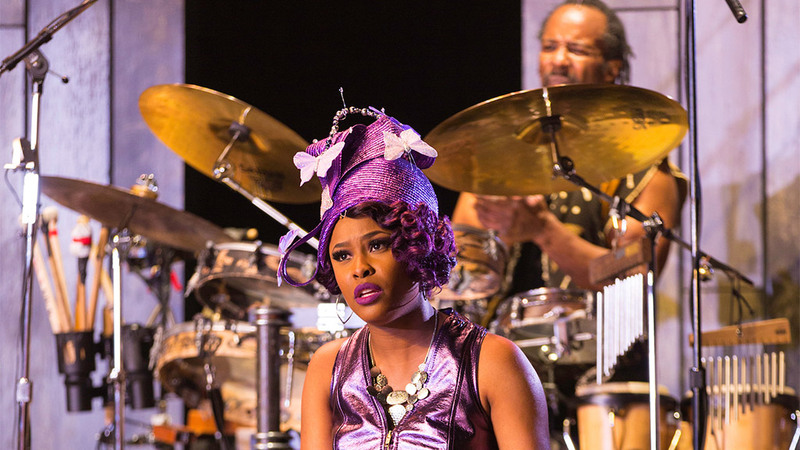 Latice Crawford in Crowns. Photo by T. Charles Erickson. Stephanie Pope in Crowns. Photo by T. Charles Erickson. Members of the company of Crowns. Photo by T. Charles Erickson. 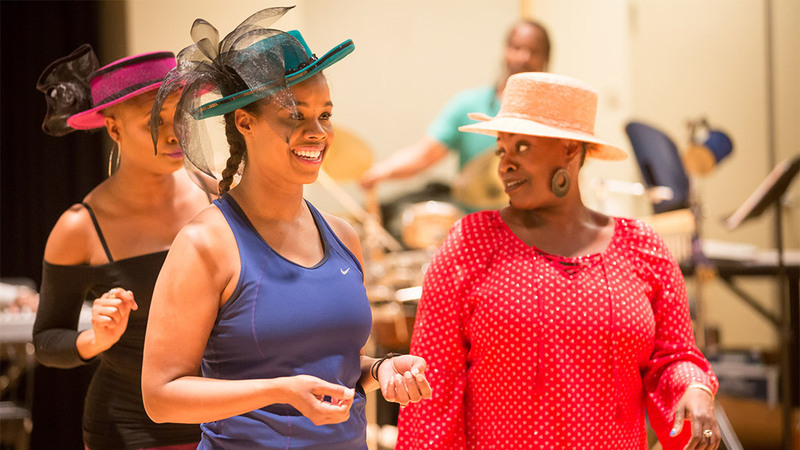 Gabrielle Beckford (center) with members of the company. Photo by T. Charles Erickson. Stephanie Pope, Shari Addison, and Latice Crawford. Photo by T. Charles Erickson. 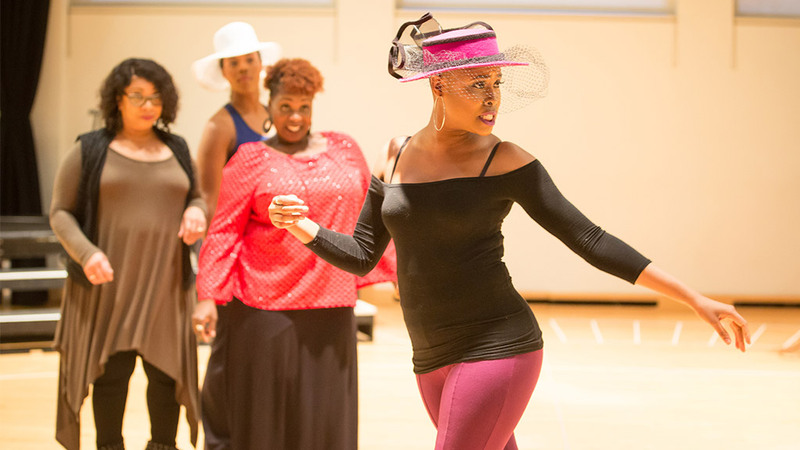 Gabrielle Beckford (foreground) and the company of Crowns. Photo by T. Charles Erickson. Lawrence Clayton, Shari Addison, and Gabrielle Beckford. Photo by T. Charles Erickson. Danielle K. Thomas in Crowns. Photo by T. Charles Erickson. 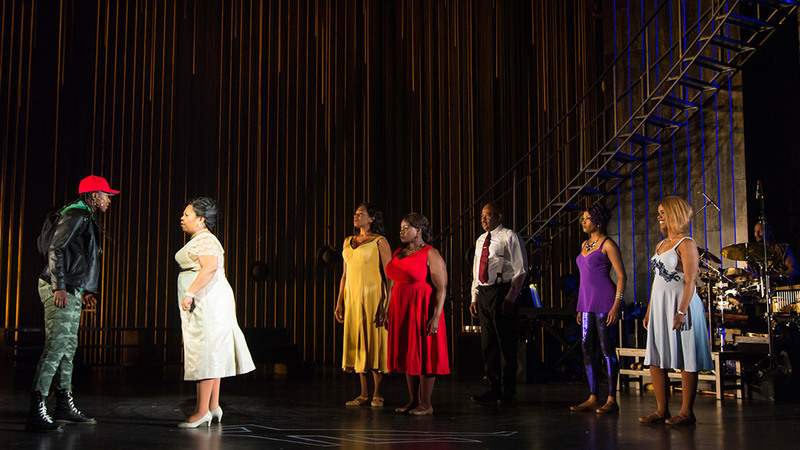 The Company of Crowns with Jaret landon, Dianne McIntyre, Regina Taylor, Chesney Snow, and David Pleasant. 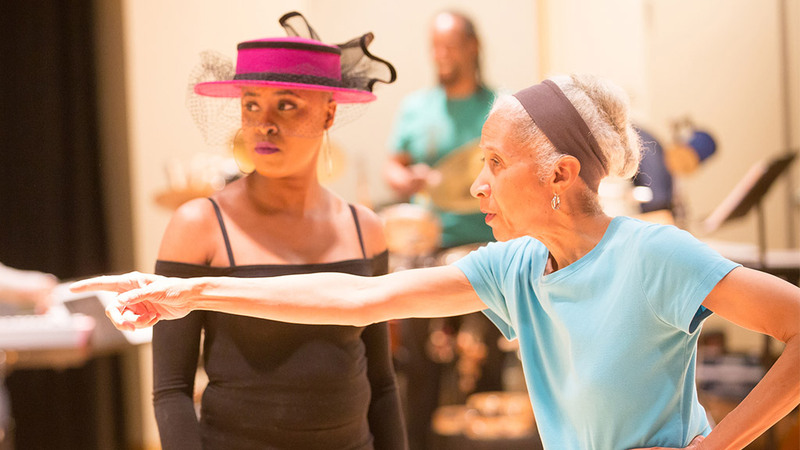 (Foreground) Latice Crawford and choreographer Dianne McIntyre. Photo by Matt Pilsner. Latice Crawford (center) with Shari Addison, Rebecca E. Covington, and Danielle K. THomas (background, l-r). Photo by Matt Pilsner. 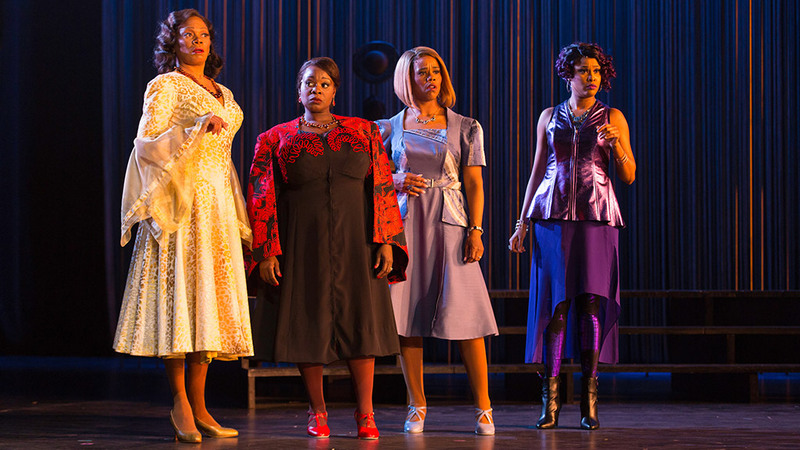 (l-r) Shari Addison, Rebecca E. Covington, Danielle K. Thomas, and Latice Crawford. Photo by Matt Pilsner. Stephanie Pope. Photo by Matt Pilsner. Drumfolk Riddim Specialist David Pleasant. Photo by Matt Pilsner. 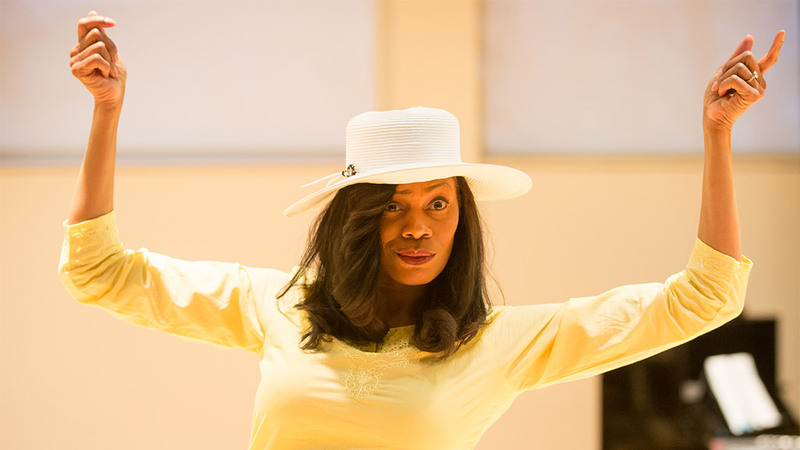 Gabrielle Beckford in rehearsals. Photo by Matt Pilsner. Members of the company in rehearsals with choreographer Dianne McIntyre. Photo by Matt Pilsner. 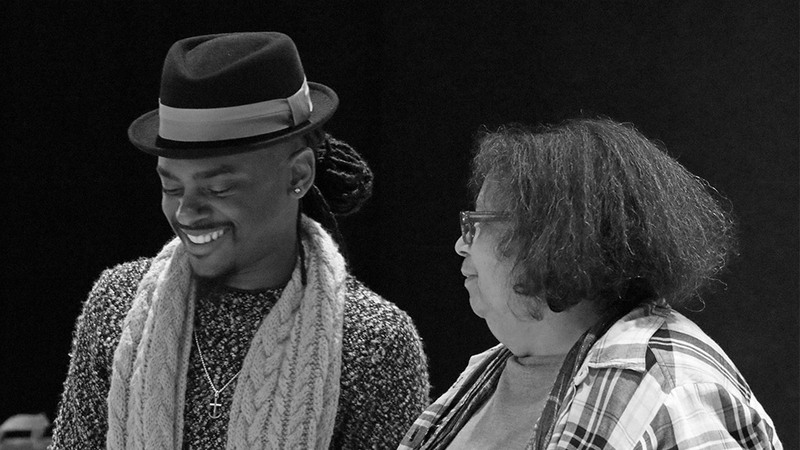 Writer-Director Regina Taylor and Choreographer Dianne McIntyre in rehearsals. Photo by Matt Plisner. (l-r) Stephanie Pope, David Pleasant, and Gabrielle Beckford. Photo by Matt Pilsner. 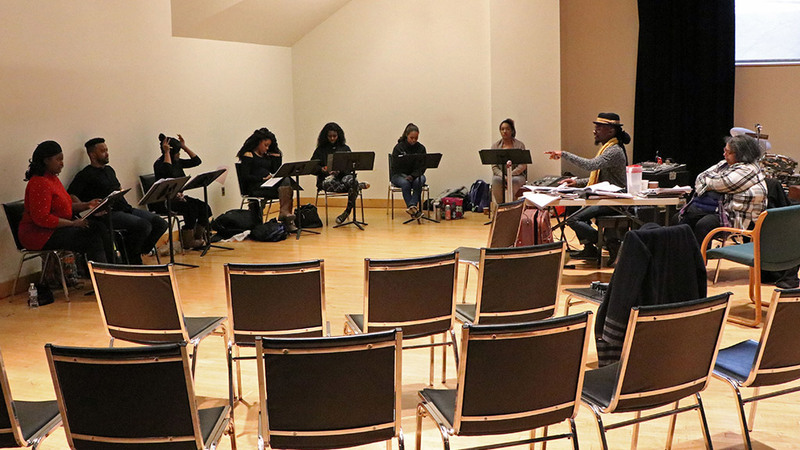 Writer-director Regina Taylor (center) watches Stephanie Pope (left) and Gabrielle Beckford (right) in rehearsals. Photo by Matt Pilsner. Musical Director Jaret Landon and Drumfolk Riddim Specialist David Pleasant. Photo by Matt Pilsner. 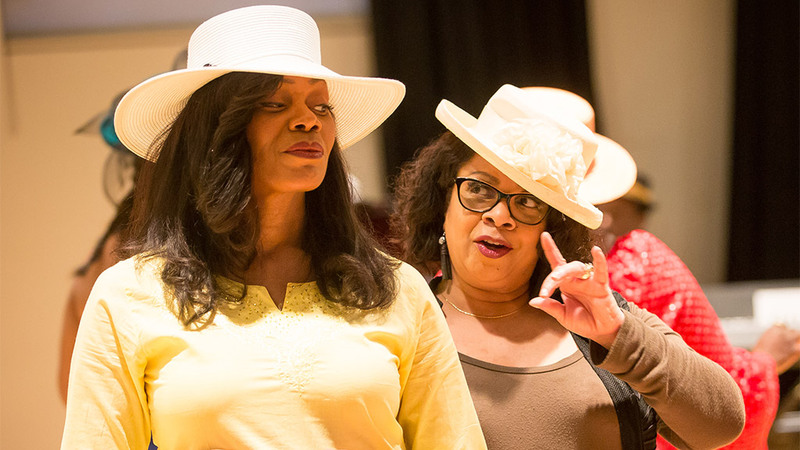 (l-r) Latice Crawford, Rebecca E. Covington, and Danielle K. Thomas. Photo by Matt Pilsner. Musical Director Jaret Landon. Photo by Matt Pilsner. Stephanie Pope and Shari Addision. Photo by Matt Pilsner. Chesney Snow (standing) with April Nixon in rehearsals. Photo by Tom Miller. Composer Dianne McIntyre in rehersals. Photo by Tom Miller. Composers Diedre Murrah and Chesney Snow in rehearsals. Photo by Tom Miller. 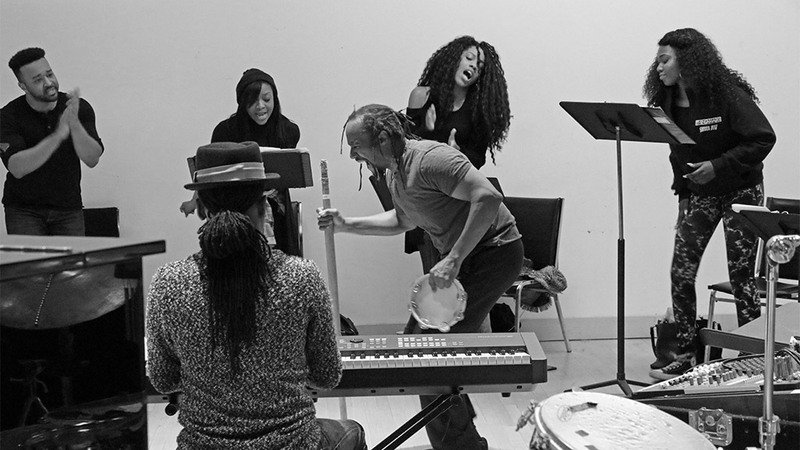 David Pleasant, Regina Taylor, Gabrielle Beckford, and Chesney Snow in rehearsals. Photo by Tom Miller. David Pleasant and Jaret Landon in rehearsals. Photo by Tom Miller. Drumfolk Riddim Specialist David Pleasant (center). Photo by Tom Miller. Drumfolk Riddim Specialist David Pleasant in reherasals. Photo by Tom Miller. 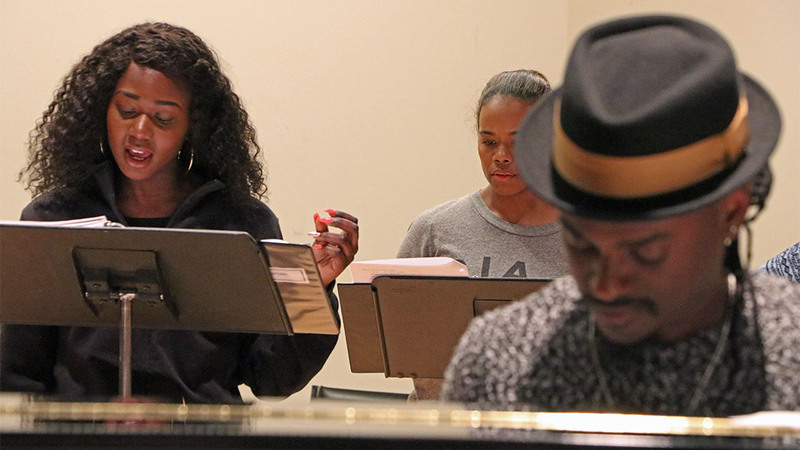 Gabrielle Beckford, Rebecca E. Covington, and Music Director Jaret Landon. Photo by Tom Miller. 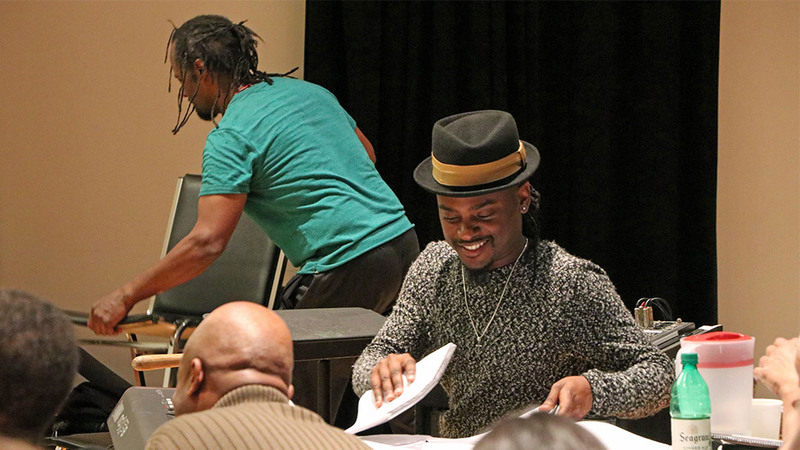 Music Director Jaret Landon and composer Diedre Murray in rehearsals. Photo by Tom Miller. Music director Jaret Landon in rehearsals. Photo by Tom Miller. 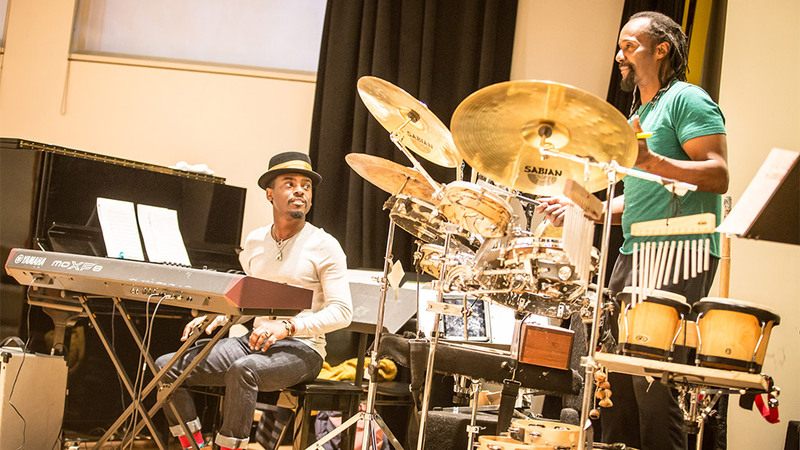 The Crowns workshop company in rehearsals. Photo by Tom Miller. The Crowns workshop creative team with Regina Taylor and Emily Mann. Photo by Tom Miller. The workshop company performs a sing through for staff. Photo by Tom Miller. 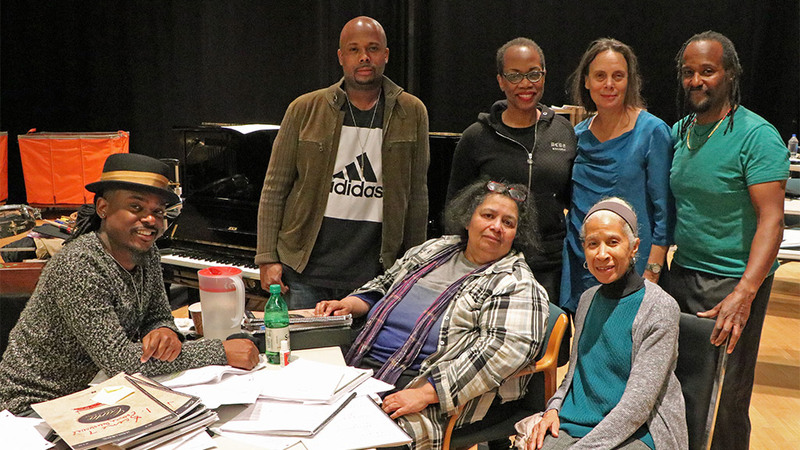 Writer-Director Regina Taylor (front left) with the Crowns workshop company. Photo by Tom Miller. 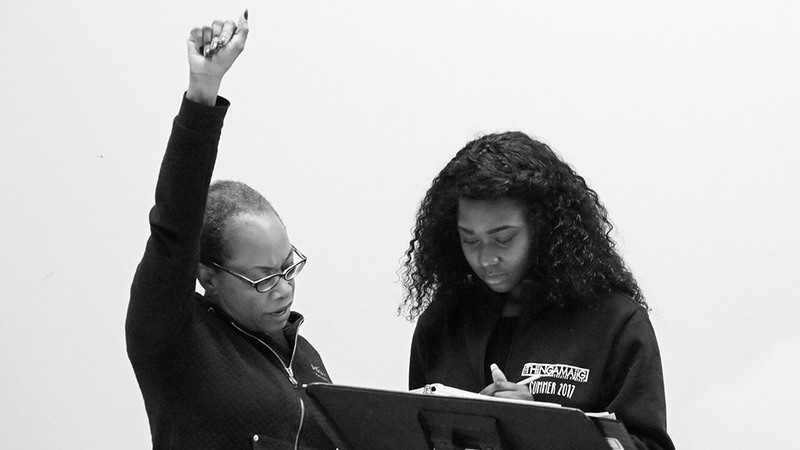 Writer-Director Regina Taylor with Gabrielle Beckford in rehearsals. Photo by Tom Miller. 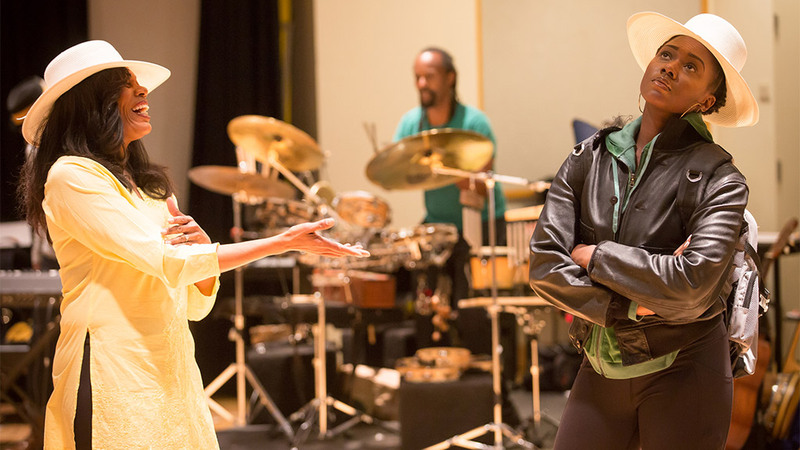 Zuri Washington, Regina Taylor, and Gabrielle Beckford in rehearsals. Photo by Tom Miller. Preparation at the McCarter Shops. Photo taken by Noah Befeler. See what the press have been saying about Crowns! 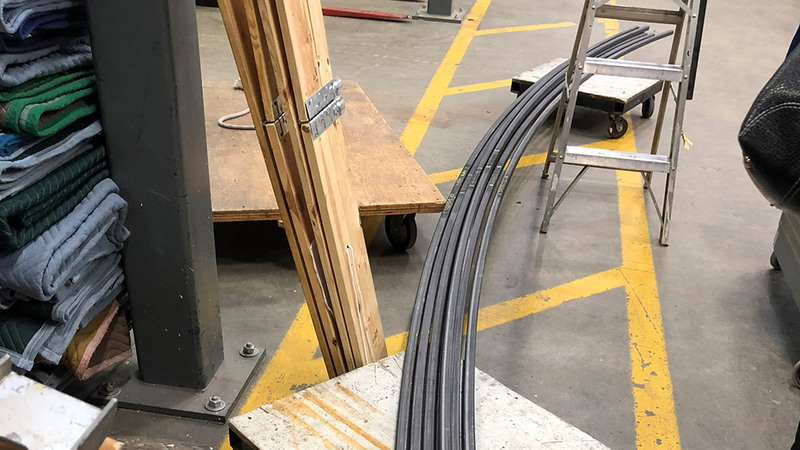 In the months leading up to the production’s run, staff members from multiple departments explored a variety of ways in which the message of Crowns could connect with McCarter’s mission of meaningful community engagement beyond the front doors of the building. 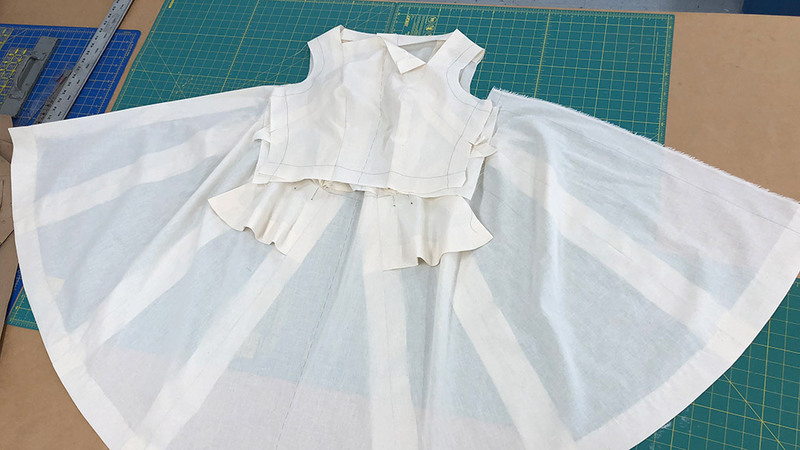 Two separate ideas ended up changing the entire look of the production. 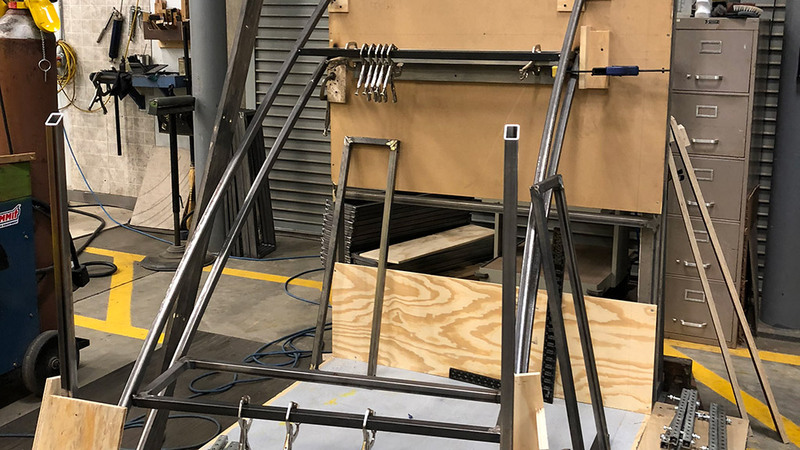 A community project to celebrate McCarter’s 2018 production of Crowns. Inspired by the book of the same name from which Crowns was created, this visual storytelling project will capture portraits and the shared stories of black women of all ages and backgrounds in their church hats. 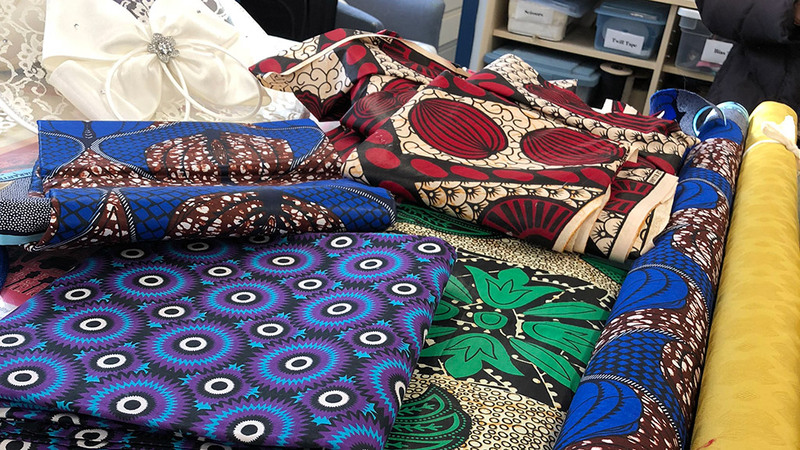 The culminating exhibition will serve as a celebration of African American culture and tradition to be displayed at the Arts Council of Princeton, Princeton Public Library, and here at McCarter. 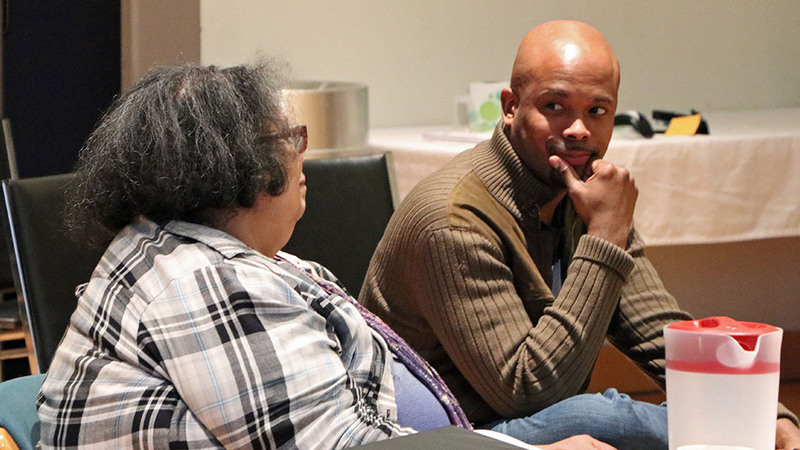 Post-show discussions at McCarter are highly interactive audience-based conversations facilitated by a member of McCarter’s artistic staff, often featuring cast members. 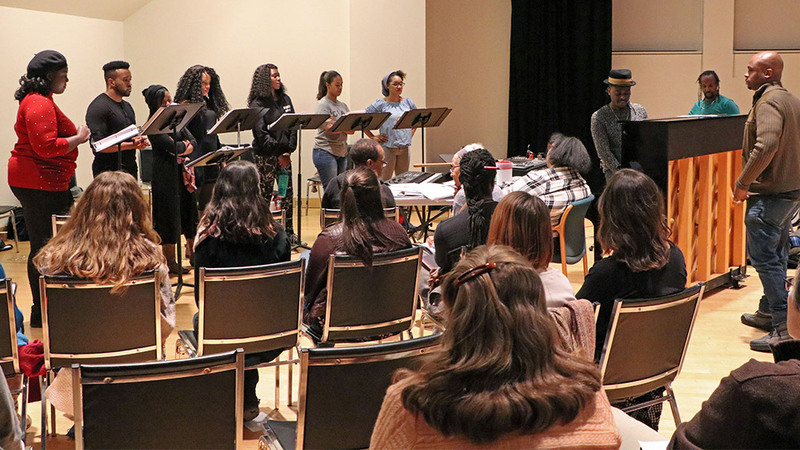 These discussion focus on a range of topics, including how artistic choices were made for the production, the actors’ process, and reflections and questions from the audience members. McCarter play synopses are provided to help inform curious or potential audience members about the story content of our plays in production. They are fairly detailed in their description of a play’s events. Some may want to read the overview of the story below before the performance, while others may skip the synopsis to avoid the revelation of plot points before experiencing the play in performance. Read descriptions and quotes from each of the characters in Crowns. 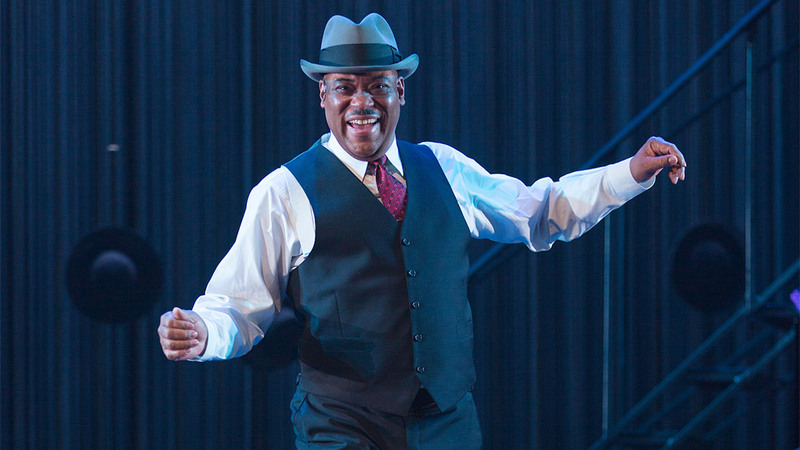 Join us 45 minutes before any performance of Crowns for a 20-minute talk led by a member of McCarter’s artistic staff. This Inside Story presentation will include background information and offer a few things to look and listen out for as you experience the play in performance. Don’t worry—we promise not to give away the ending! Location: The Inside Story for Crowns will take place in the Matthews Theatre. Please sneak in quietly if the talk has already begun.